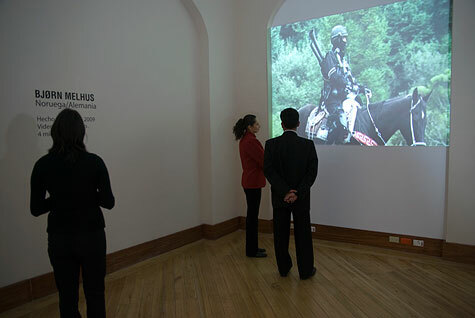 Personifying a sheriff assistant on horseback, armed to the teeth, inspired by the traditional "charros", Melhus intents to put order in a country more and more militarized. Menos Tiempo que Lugar. The Art of the Independence: Contemporary Ecos. Artists from Latin America and Germany, 2009 - 2011. Curator: Alfons Hug.